There’s really only two ways to make a guitar better. You can either make it feel better or make it sound better. That’s exactly what this Taylor guitar does and excels and both. It feels better with a beveled armrest so you can strum better, and comes with low string heights and low actions so it’s much easier to play the guitar. But the quality creates a superior sound quality with an exceptional, complex voice guitar experts and audiences would love to hear. The body shape is a Taylor original, the Grand Auditorium body, which is almost identical to the Dreadnought shape. 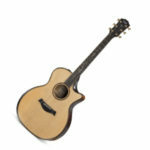 However, the waist is a bit slimmer for a more comfortable fit to help you play the guitar easier. Now the side’s and back of this guitar uses Koa, a type of Hawaiian wood which is similar to mahogany and produces a bright sound. The top is finished with a Sitka Spruce Top. However, the magic of using the Koa is that the more you play on this guitar, the more it starts to “open” the sound making it a lot warmer, sweeter, and richer to create sounds that will please the audience’s ears. The revolutionary V-bracing was created to help boost volume evenly and consistently while also helping to maintain sustain. It creates a huge dynamic range with powerful notes over the entire guitar! It finally brings a certain cohesion with the notes as they are played together which creates a harmony that the audience would appreciate. 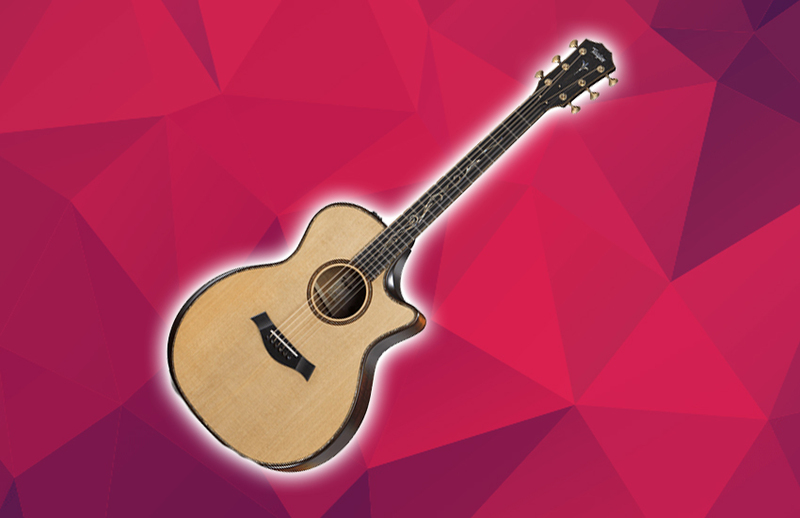 We believe that if you are able to afford the Taylor K14ce Builder’s Edition guitar, then we say you should absolutely invest and you will absolutely get your money’s worth back easily. With it’s incredible build quality, stable and comfortable necks, superior sound quality, eco-conscious build material, and lifetime warranty and support from the Taylor brand, we will be sure that you will not regret purchasing this guitar. The only flaw is the incredible price point, but guitarists who are planning on going professional or guitar enthusiast would surely appreciate the unique sound quality this guitar is able to produce.